Tomato belongs to the Solanaceae family. It is an annual plant. Growth stages of plants, in very general terms, can be split into four periods: Establishment from planting or seeding during vegetative growth until first flower appears, from first flowering to first fruit set, from fruit ripening to first harvest, and from first harvest to the end of the last harvest. 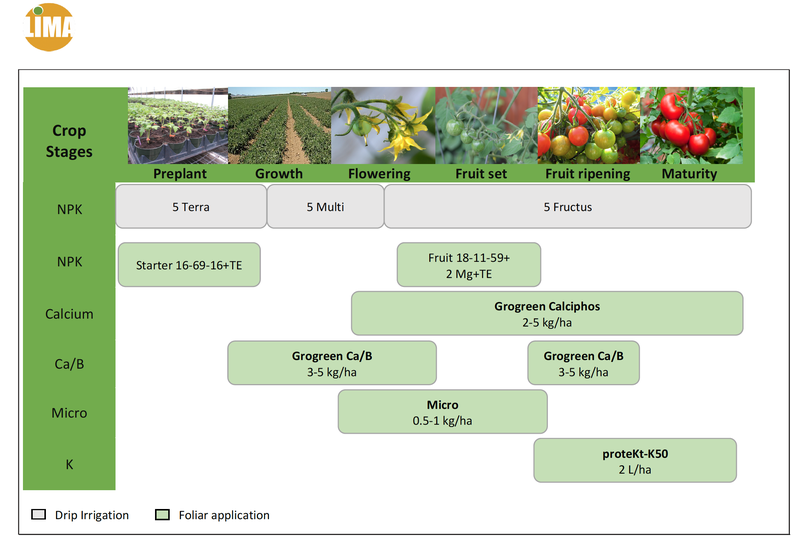 The duration of each stage may vary according to growing method, variety characteristics and climatic conditions. 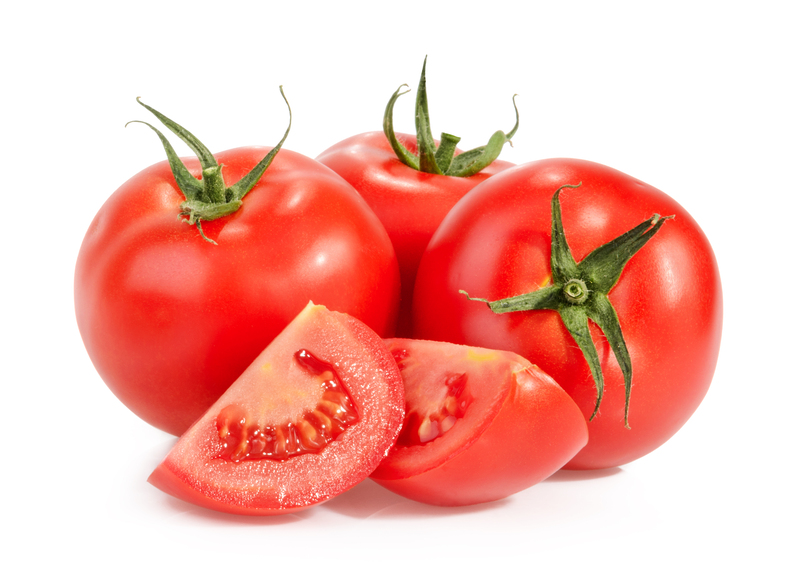 Tomato is the most widespread vegetable in the world and with the most economical value. Among the total amount of nutrient uptake, fruits absorbs most of the Nitrogen (65%), Phosphorus (70%) and Potassium (65%), the leaves and petioles being the ones that accumulate the most amount of Calcium (76%) and Magnesium (60%). Nitrogen, Phosphorus, Potassium, Calcium and Boron are also applied via foliar. Lima Europe has a wide range of foliar fertilizers and special products for foliar application.